Think, fresh! 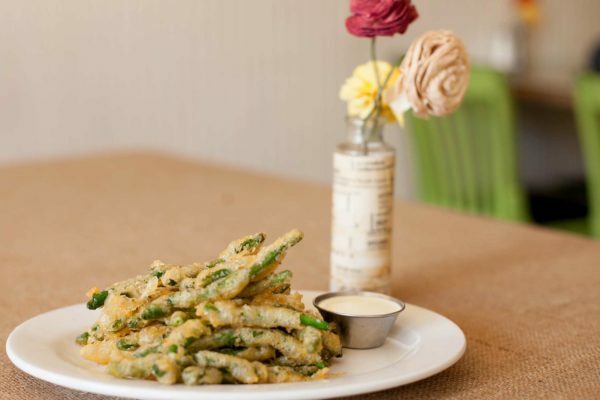 Our menu changes with the seasons because we source ingredients from our local farmers. Be sure, to check our menu regularly as it does change. If you’re here looking for what everyone is raving about…. 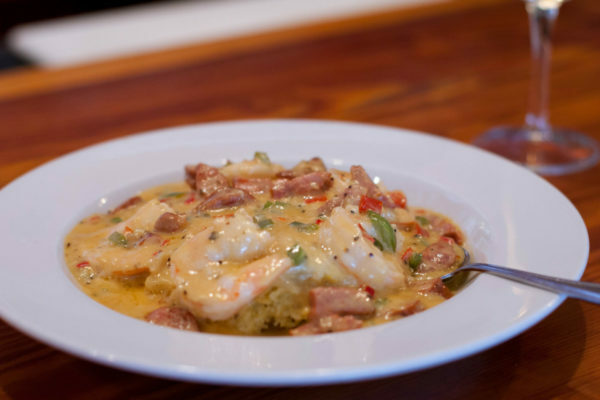 it’s hard to beat the Shrimp ‘n Grits! Charred Napa cabbage, caramelized apples, ginger aioli, pomegranate seeds, apple ginger honey. Ginger aioli, soy glaze, sesame seeds. 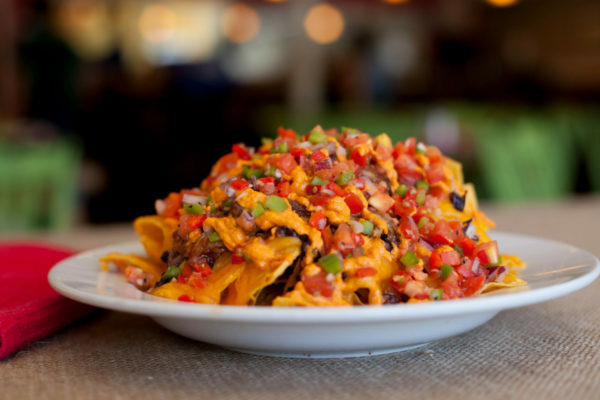 Corn tortilla chips, cheddar, black beans, pico de gallo, red pepper cream. Tempura fried, house tartar sauce. Toasted pumpkin seeds, mint oil, pita chips. Chorizo, white wine, shallot, pico de gallo, grilled brioche. Blue cheese cream, toasted pumpkin seeds. Deep fried and grilled, sweet and spicy bbq sauce or traditional buffalo. Roasted chicken and vegetables, parmesan cream, puff pastry. Sweet potato puree, grilled asparagus, cremini mushrooms, sage brown butter. Roasted tomatoes, artichoke hearts, baby spinach, chili flakes, linguini, white wine and tomato pan sauce, parmesan. Apple cider brine, sweet potato puree, collard greens, apple ginger honey. 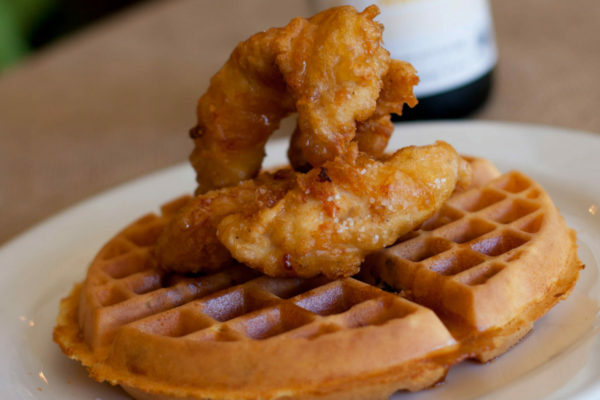 Tempura fried chicken breast, candied walnut waffle, bourbon syrup. Porcini and cremini mushroom risotto, grilled asparagus, roasted garlic, blue cheese, and apple compound butter. 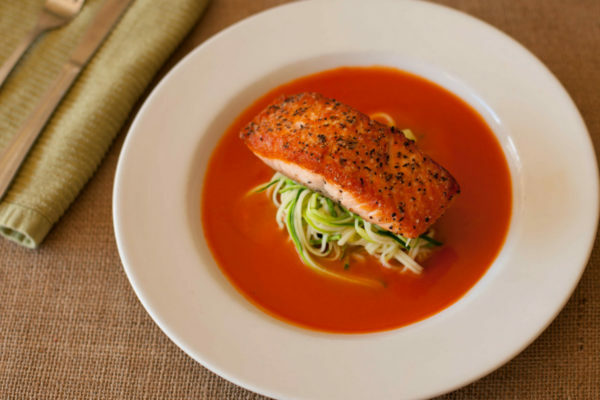 Tomato shrimp broth, zucchini noodles. Bacon, mashed potatoes and gravy, collard greens, green onion chimichurri. Andouille sausage, bell peppers, pan gravy, South Carolina cheddar grits. Sweet potato puree, fried brussel sprouts, red wine gravy, pickled fennel and red onion. All sandwiches come with one side of your choice: coleslaw, pasta salad, hand cut fries, fresh fruit, fried green beans ($2), Crispy spinach ($1), veg. of the day ($2). 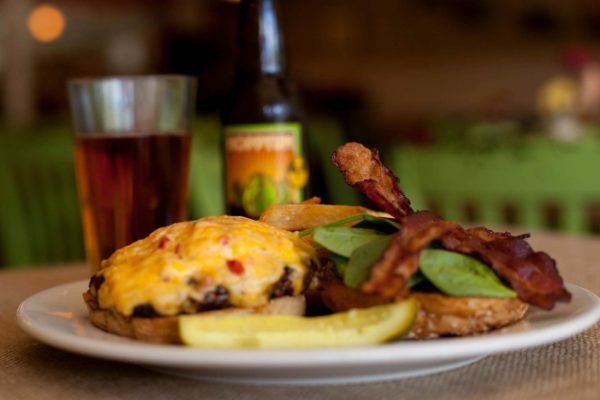 Bacon, pimento cheese, spinach, toasted brioche. Napa cabbage, tomato, shallot, cheddar, toasted brioche. Napa cabbage, ginger aioli, avocado, pickled fennel and red onions, toasted brioche. Winter pesto, arugula, grilled apples, toasted brioche. Fried or grilled, napa cabbage, tomato, house tartar, hoagie roll. Coleslaw, sweet and spicy bbq sauce, toasted brioche. Cucumber, arugula, toasted whole wheat. Sauteed seasonal vegetables, goat cheese, winter pesto, hoagie roll. Bacon, avocado, cucumber, arugula, house ranch, toasted whole wheat. Mixed greens, red onion, grilled asparagus, red bell pepper, cucumber, parmesan cheese, roasted garlic vinaigrette. Sliced apples, blue cheese crumbles, candied walnuts, pomegranate seeds, charred shallot vinaigrette. Bacon, tomato, toasted pumpkin seeds, blue cheese dressing and crumbles, green onion chimichurri. Arugula, goat cheese, orange and grapefruit segments, candied walnuts, citrus vinaigrette. *Notice: the consumption of raw or undercooked eggs, meat, and poultry, seafood or shellfish may increase your risk of foodborne illness.